Children's Hospitals Week is March 18-24! We’re excited to celebrate the third annual Children’s Hospitals Week hosted by Children’s Miracle Network Hospitals March 18 — 24. Wear a bandage and post a photo on your social media account while sharing that children’s hospitals like Arkansas Children’s need donations using #ChildrensHospitalsWeek. You can get your own FREE #ChildrensHospitalsWeek bandages here. Tune in to our LIVE-athon and learn more about the kids treated at hospitals like ours across the country on Facebook.com/CMNHospitals or Twitch.tv/ExtraLife4kids on Wednesday, March 20 at 7 p.m.
You can also participate in CHW by purchasing a Children’s Charm from Kendra Scott here. 100% of the sale will benefit the local CMN Hospital during CHW, and after 50% of the sale is given back throughout the rest of the year. In addition, if you find yourself in a Love’s Travel Stops, make sure to round up your purchase during CHW to support your local hospital. Thank you Kendra Scott and Love’s Travel Stops for supporting Children’s Hospitals Week! Thank you for being a champion for children by supporting this week through awareness and donations! 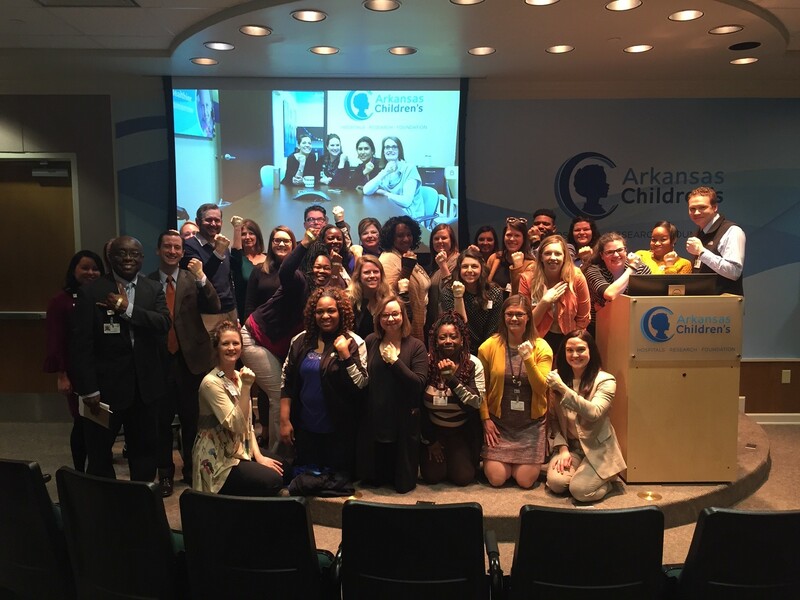 Arkansas Children’s Foundation Celebrates Children’s Hospitals Week! Previous post: Love’s loves Children’s Hospitals Week!